Reading to a toddler can sometimes feel like wrangling a herd of cattle. Attention spans are short, they love to wander, and they love to explore. Finding books for toddlers that keep their attention, are the perfect length, and are full of exploration possibilities is a must. This ultimate list of toddler books will get you through the toddler years with an increased vocabulary and a love of books. Little Blue Truck, We’re Going on a Bear Hunt, Curious George… These are just a few of the books that most toddlers will request every single day. Keeping up with busy toddlers and their reading likes can be challenging. 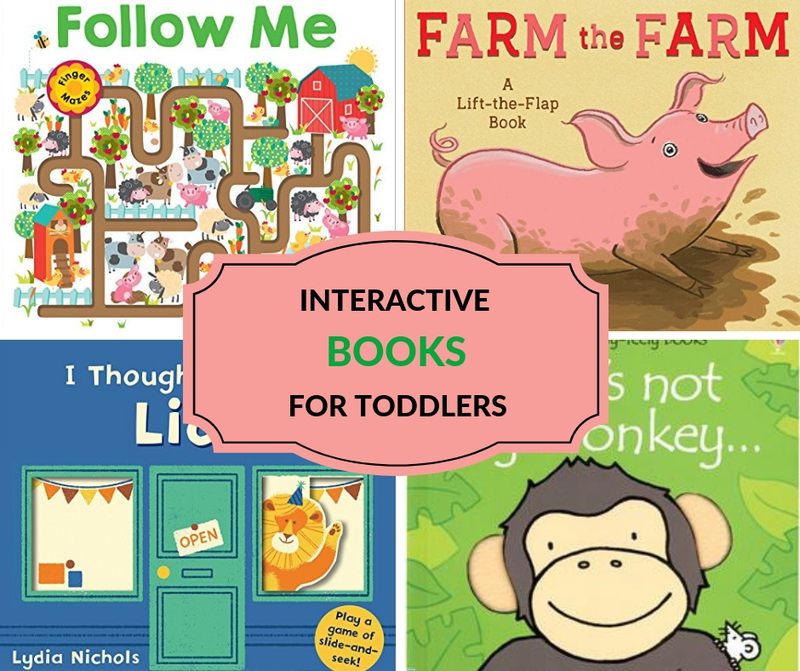 Here is your one stop shop for all things related to reading books with toddlers. I’ve got the best book lists, reading tips, and book activities that will have your toddlers craving more and more books which is music to a parent or teacher’s ears. When choosing books for toddlers, here are a few tips to keep in mind. Choose books that are engaging. Great characters, lots of dialogue, and bold pictures draw a toddler right into the story. Know your child or group of kids. Attention span will vary from child to child. An 18-month-old and a 28-month-old are quite different when it comes to attention and level of movement. Start with shorter books and build your way up to lengthier stories. Match books to a child’s interests. If you have a child who loves construction trucks, then grab a big stack of construction vehicle books. Kids love to engage with books on topics they are passionate about at any given moment. The classic We’re Going on a Bear Hunt by Michael Rosen is also a hit. This one will have the kids engaged and moving with the repetitive lines. Board books are lifesavers during that tearing stage. Heavy duty durable pages can withstand the pulls and tugs of little hands. The popularity of board books has surged over the years. Check out these other Classic Toddler Books. You might remember some from your own childhood. 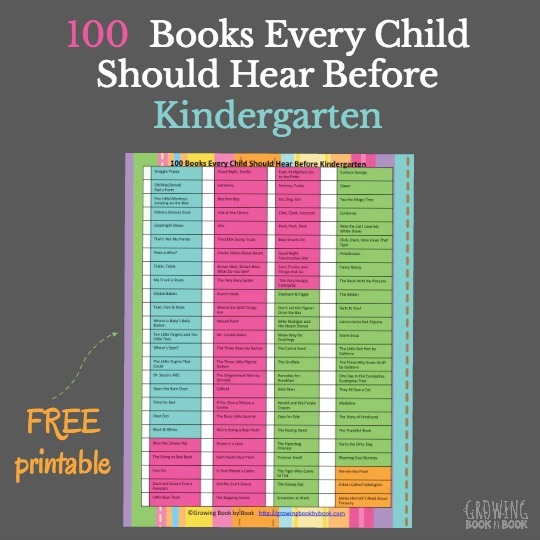 And, for more must reads, check out our most popular post ever- 101 Books Every Child Needs to Hear Before Kindergarten. You can even print it out and keep it handy. Each year I share a list of books that have been favorites in our house for the past year. They are some of our most popular book lists for kids. Here are the two that apply to the toddler years: Books for 1-2-Year-Olds and Books for 2-3-Year-Olds. I’m pretty sure they will be hits with your little ones too. Toddlers love to point. It’s a communication tool and some books lend themselves well to pointing and touching. We call these interactive books. Valentine’s Day is full of love and great books with these Valentine’s Day Books for Toddlers. Bring the magic of Christmas alive with these Christmas Books for Toddlers. Just like we need a variety in our diet, we also need to expose young children to a variety in their read aloud diet too. Having multicultural books on our shelves is a must. Add a few multicultural books for toddlers to your shelf too. Books are also a great teaching tool. Toddlers acquire new vocabulary so quickly and books are a great way to introduce and reinforce new vocabulary. 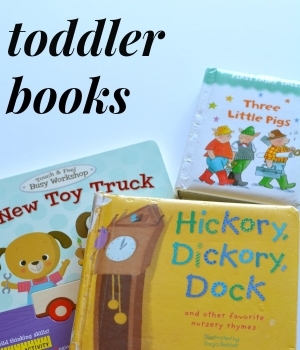 Here are some other related toddler book list posts to check out. There is a big difference between the attention span of a 13 month old and a 26 month old. Our older toddlers crave a meatier story. These board books can still hold up to aggressive hands and hold the interest of our growing tykes. Toddlers have lots of “first” milestones during these precious years. Here are some book lists to fit those special times. Hopefully, you won’t need this list, but Death of a Sibling books too. Books and book activities play an important part of a toddlers day. We thrive on using a book as a springboard into real life learning and playing. *Virtual Book Club for Kids is a monthly club that to use on a regular basis. Each month a toddler/preschool book is selected and participating bloggers share hands-on activities that correlate with the book. Here are just a few of our favorites. *Another book project near and dear to my heart is helping my preschoolers learn to give to others. We created a monthly project that would help us focus on reading, creating, and then sharing with others. All the books, activities, and service projects were put together to create my first book, Read, Create & Share. It’s a great way to bring books to life with young children especially as they move into the preschool years. 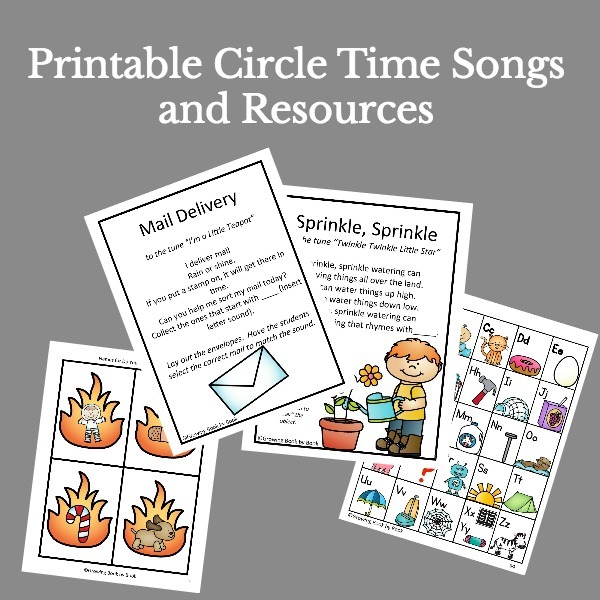 Memorizing nursery rhymes and reciting them on a regular basis is a wonderful way to help your child on their learning to read journey. This is the nursery rhyme book we wore the cover right off when my boys were little. It’s called Hickory, Dickory, Dock: And Other Favorite Nursery Rhymes. Here are our all-time favorite rhyming books to build phonological awareness.—>Click to see the Not To Be Missed Rhyming Books. Here are some common questions with answers and tips when it comes to reading books with the toddler crowd. 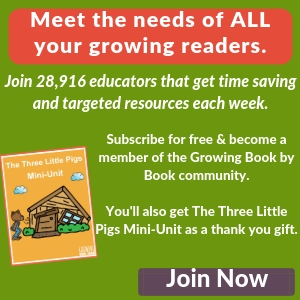 How do I deal with a squirrelly toddler during a read aloud? Ummm, they are toddlers. When have you seen a toddler sit very long for anything? Just because they don’t sit quietly with you from page one to ten doesn’t mean that the experience wasn’t worth the time. First, even if they kids are rolling or walking around, they are still hearing book language and you are filling their little language tanks. Second, you are developing a habit. During the day, we read and enjoy books. That’s a big example to set. So, don’t fret. Keep reading. Just because kids are moving during a read aloud doesn’t mean that listening isn’t happening. Many kids need to keep their hands busy to help with concentration. Why Can’t My Child Sit Still When I Read? 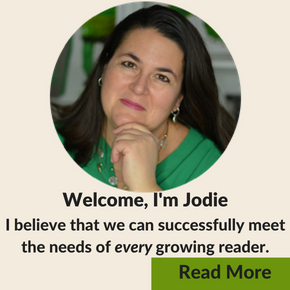 is a post I wrote with ideas to keep kids focused during a read-aloud. But know that toddlers will move and that is ok! How do I keep my toddler from tearing books? Yes, it will happen. I think our copy of Cars and Trucks and Things That Go by Scarry has more tape than paper at this point. Here are some tips to help kids learn how to treat books though. Ok, now you have lots of book recommendations to read with your little ones, but how do you build a personal library for them? We are huge fans of the library. Though it doesn’t build your personal permanent library, it’s an excellent way to test out books you may want to purchase. If you find that you are checking out the same book over and over again, then it might be one that you want to consider buying. Here are a few tips for building a library. Give a special book on birthdays and holidays. Write a note inside the book telling why you selected the book and date it. I guarantee that these will be treasured books down the road. Ask grandparents, parents (if you are a teacher), and guests to parties to bring a book instead of a toy as a present. Now you have more toddler books to read to your budding readers. Start stocking the shelves because soon that little one will be reading to you. PIN IT for others to discover!